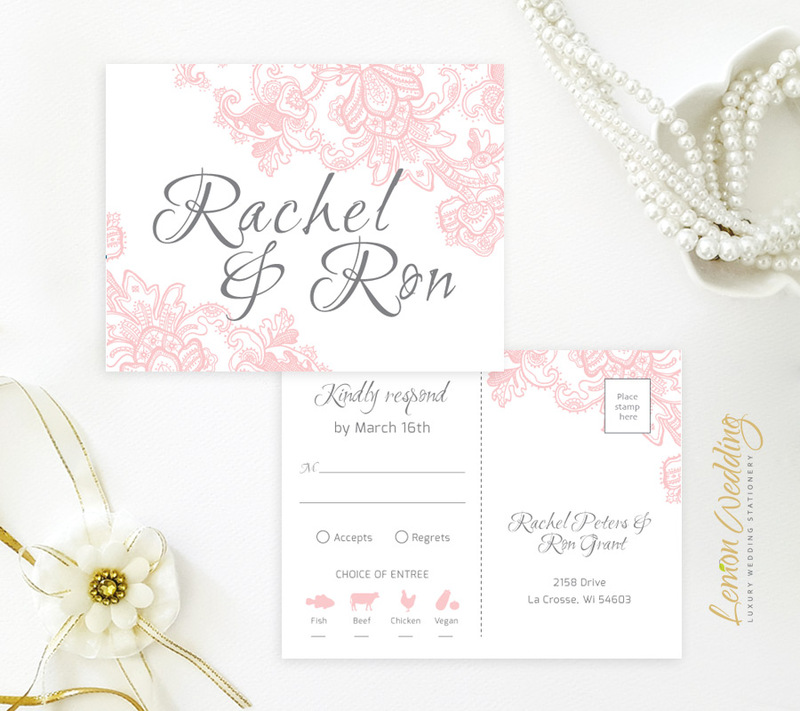 Have a pretty in pink moment when you invite your guests to your romantic ceremony with our Pink Lace Wedding Invitation sets. 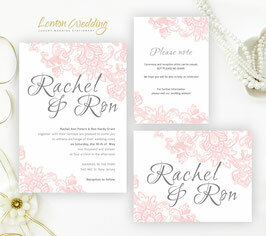 Elegantly designed, our pink lace invite set will give your guests the details of your upcoming nuptials. 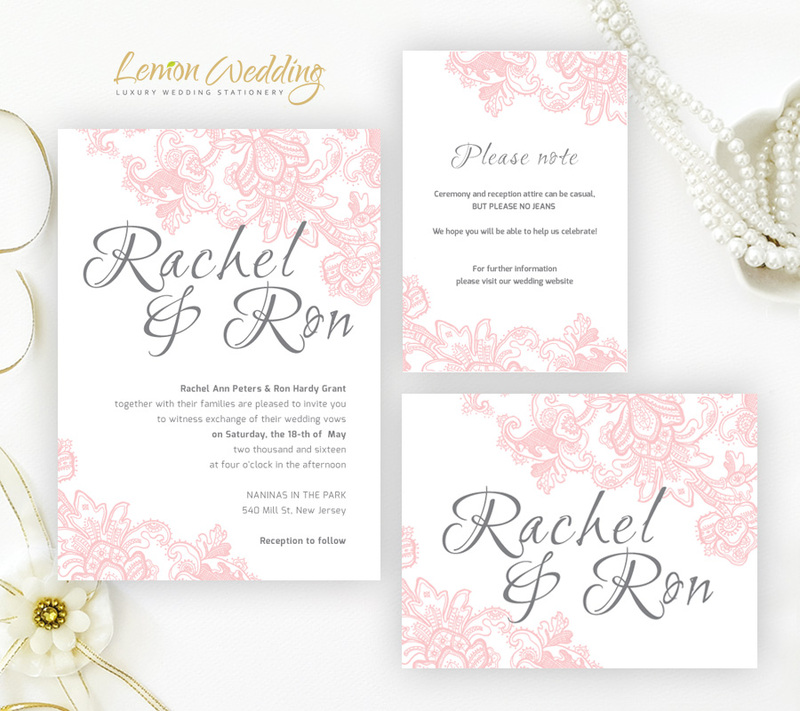 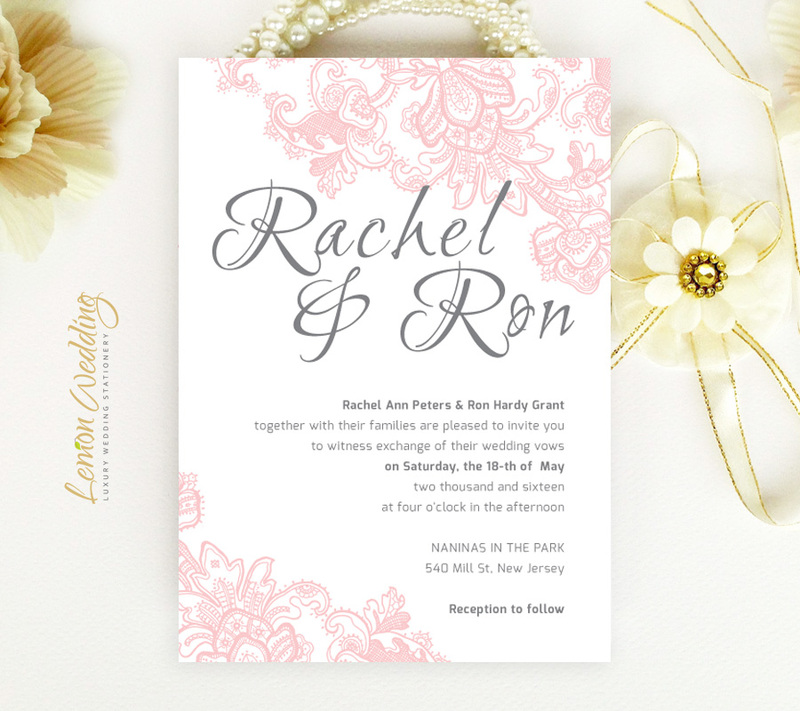 This pink wedding invitation set exactly what you need, including invites, RSVP postcard and extra detail cards printed on premium card stock.